It's been so looooooong since my last post, but i'm back with a great article on using natural remedies for hair growth. To achieve hair growth with the help of onion juice you need to extract the juice of the onions and apply it on the scalp thoroughly. Though, the juice has a pungent smell, the remedy is highly effective in achieving the results you need. You need to keep the juice on the scalp for at least 30 minutes. You can keep it for longer if you will be able to bear the smell of the juice. Rinse off the juice using water and mild shampoo. You will have to repeat this remedy at least twice a week for at least two months to see the results. This is a natural remedy and it will take some time to give the expected result. You can use this remedy in two different ways. You can mix ¼ cup of onion juice with one honey tablespoon of honey and you can consume it orally every day or you can apply the mix on the scalp and massage it for 15 minutes daily to see the difference. If you find the smell of onions unbearable you can use this method to prevent the loss of hair and to improve the growth of hair. Finely chop one medium sized onion and soak this in a glass of rum overnight. Next day, strain the mixture to remove the onion pieces. Use the concoction to massage the scalp or use it as a hair rinse after washing the hair. You can include onions in regular recipes and in salads to get the benefits of using onion. This will not act as fast as applying the juice to the hair. This is another method of using onions for hair growth without getting tears and irritation to eyes. Add 4-5 chopped onion to one litre of water and boil it for about 10 minutes. Allow the mixture to cool and strain the mixture. Use the onion boiled water to rinse your hair after shampooing. If you are not bothered with the smell you need not wash the hair with water that day. You can clean your hair using water and mild shampoo next day. Hair is part of the personality of a person. If you are worried about your excessive hair loss, you can try the above remedy. Select a method convenient to you and stick to it for at least two months. Your hair will first achieve a good sheen and slowly you will see your hair becoming stronger and thicker. To boost your hair growth, you can also massage your hair and scalp with a mixture of olive oil, coconut oil and almond oil once in a week. You can achieve better results, if you leave the oil overnight on your hair. Always eat a healthy diet to prevent hair loss and to promote the re-growth of the hair. Apple cider vinegar gently cleanses the scalp and maintains the PH balance of the hair accelerating hair growth. See my post on the benefits of an apple cider vinegar rinse HERE. Henna is very well known as a natural conditioner. It is also good for hair growth. It transforms dull and dry hair to smooth and shiny hair and adds colour too. It promotes hair growth by strengthening the roots of your hair. Apply it all over your hair from root to tip. Coconut milk is rich in iron, potassium and essential fats. It reduces hair fall and breakage. It's rich in proteins, iron and other essential nutrients. Coconut milk is an essential natural ingredient in my DIY Protein Treatment. Hibiscus flower is another home remedy for hair growth. Hibiscus is truly said to be the “flower of hair care.” This flower is used for curing dandruff and enhancing hair growth. It also thickens the hair and prevents pre-mature ageing. Apply it on your hair evenly. Rinse with a mild shampoo. Hibiscus is an essential natural ingredient in my DIY Protein Treatment. Have lots of dark green vegetables. These contain iron which is really essential for hair growth. Green vegetables are rich in iron which is a prerequisite for strong hair. Click HERE for a full list of nutrients for promoting healthy hair. Lemon juice contains healthy ingredients like vitamins B1, B2, B3, B5, B6, B12, C, and folic acid, all of which is good for hair growth. Mix one part lemon juice with two parts olive oil. Apply the mixture to your hair. Massage it in to make sure the mixture reaches your scalp. Leave it in your hair for 30 to 45 minutes. Rinse out the mixture completely, then wash your hair normally with a mild shampoo. Repeat this treatment once or twice weekly. 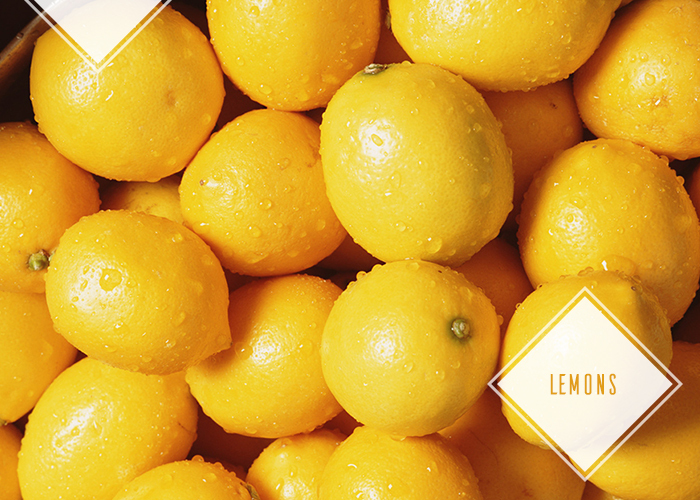 Do not do it more often- lemon juice can lighten your hair in large doses. Try these effective natural remedies for better hair growth. Tell us about your natural remedies too in the comments box below. Need Help With Transitioning to Natural? Looking after the outside of our body is all well and good. But we also need to ensure that we put more effort on the inside by including the right nutrients into our diet. As the old saying goes “you are what you eat” and this also includes your hair. I'm always on the look out for different ways to promote healthy hair growth, so I thought i'd share this great article by Guide to Living Naturally which lists some essential nutrients which you'll need to help grow healthy hair. Protein is the building block of hair. Hair is 88 percent protein. Protein will give the shaft of your hair more strength, and will reduce the probability of damage. Excellent sources of protein include: tuna, shrimp, and cod, snapper, venison, halibut, salmon, scallops, turkey, chicken, lamb, beef, calf’s liver, spinach, tofu, mustard greens, crimini mushrooms, soybeans, and mozarrella cheese, eggs, milk, collard greens, cauliflower and many legumes including lentils, split peas, kidney beans, black beans, pinto beans and garbanzo beans. The B vitamins are necessary for healthy hair. Lack of B vitamins can lead to oily hair conditions. Good sources include: animal products (meat, poultry), yeast extracts (brewers’ yeast, Marmite), asparagus, broccoli, cauliflower, spinach, bell peppers, turnip greens, bananas, potatoes, dried apricots, dates and figs, milk, eggs, cheese, yoghurt, nuts and pulses, fish, brown rice, wheat germ, garlic, tuna, wholegrain cereals, avocado, herring, salmon, celery, crimini mushrooms, sunflower seeds and walnuts. 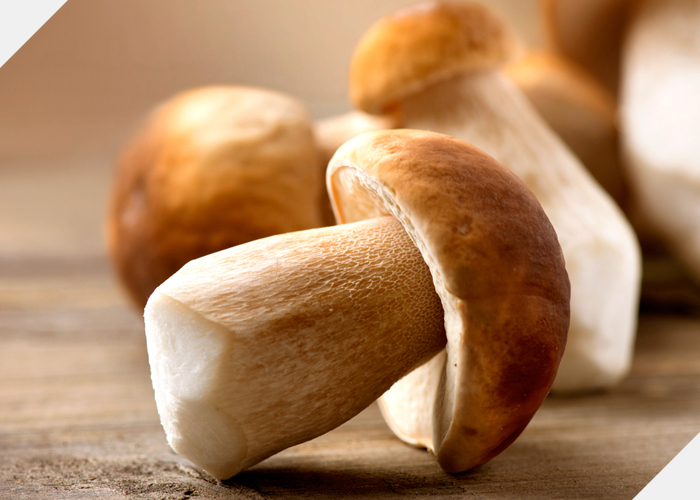 It strengthens the immune system, and assists in metabolizing B vitamins and amino acids into the body. Lack of vitamin C can cause dry hair. Excellent food sources of vitamin C include: broccoli, bell peppers, kale, cauliflower, strawberries, lemons, mustard and turnip greens, brussels sprouts, papaya, chard, cabbage, spinach, kiwifruit, snow peas, cantaloupe, oranges, grapefruit, limes, tomatoes, zucchini, raspberries, asparagus, celery, pineapples, lettuce, watermelon, fennel, peppermint and parsley. Vitamin A is important for the health of your scalp. A lack of it can lead to dry hair. Good sources include: Calf liver, Cow’s milk , eggs, carrots, apricots, mangoes, squash, sweet potatoes, spinach, kale, collard greens, tomatoes, guava, and pink grapefruit, salmon, shellfish, Cayenne pepper and chilli pepper. 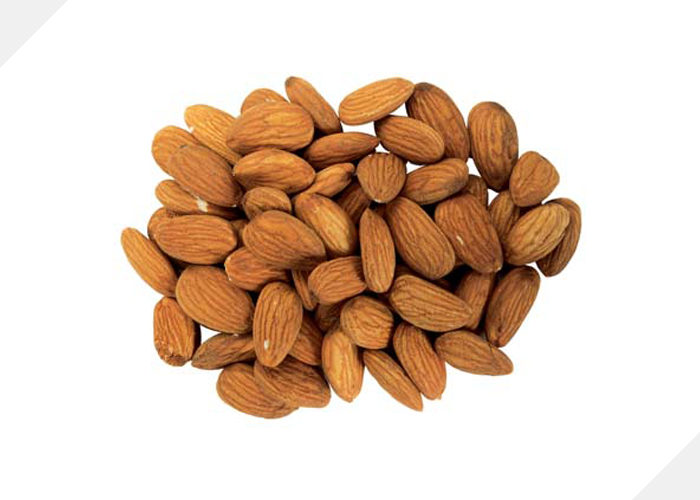 Vitamin E provides lots of benefits for growing vibrant hair. Good sources of vitamin E include: mustard greens, turnip greens, chard, sunflower seeds, almonds, spinach, collard greens, parsley, kale, papaya, olives, bell pepper, brussel sprouts, kiwifruit, tomato, blueberries, and broccoli. Vitamin K helps to maintain healthy hair. Good sources of vitamin K include: spinach, Brussels sprouts, Swiss chard, green beans, asparagus, broccoli, kale, mustard greens, green peas and carrots, fig, brewer yeast, asparagus, broccoli, lettuce, cabbage, egg yolk, oatmeal, rye, soybean, liver, wheat, yogurt, tomato paste, Swiss Emmental cheese and Norwegian Jarlsberg cheese. Healthy hair needs iron in the body. Iron is needed to help carry oxygen to the hair. Without enough iron, hair gets starved for oxygen. Good sources of iron include: chard, spinach, thyme, and turmeric, romaine lettuce, blackstrap molasses, tofu, mustard greens, turnip greens, string beans, and shiitake mushrooms, beef tenderloin, lentils, brussel sprouts, asparagus, venison, garbanzo beans, broccoli, leeks, and kelp. Magnesium deficiencies lead to hair problems. Good sources: of magnesium include Swiss chard and spinach, mustard greens, summer squash, broccoli, blackstrap molasses, halibut, turnip greens, pumpkin seeds and peppermint, cucumber, green beans, celery, kale and a variety of seeds, including sunflower seeds, sesame seeds, and flax seeds. A lack of zinc can lead to hair loss. Zinc is necessary for building hair protein. Good sources include: Calf’s liver, crimini mushrooms, sea vegetables, basil, thyme, spinach, yeast, beef, and lamb, summer squash, asparagus, venison, chard, collard greens, miso, shrimp, maple syrup, broccoli, peas, yogurt, pumpkin seeds, sesame seeds and mustard green. Water is important for hair. Water makes up one-fourth of the weight of a strand of hair. Moisture makes the hair supple and helps keep your hair silky and shiny. Eight to ten glasses of water a day are absolutely necessary to nourish healthy hair. Healthy hair also needs two essential fatty acids, omega-3 and omega-6, that are not produced naturally by the human body. Omega-3 fats sources: flax oil, algae, cold-water fish, dark-green vegetables, hemp oil and pumpkin seed oil. Omega-6 fats sources: borage, evening primrose oil, safflower oil, sunflower seeds, hemp seeds, corn and pumpkin seeds. Eating dead food can lead to lifeless hair. These are sugars, chocolate, cakes, cookies, starches, soft drinks, snacks, Caffeine, alcohol, nicotine and recreational drugs destroy important hair growing nutrients. If you can’t resist keep these to a minimum. Have you included any of these foods into your diet? What results did you get? Autumn is officially here, so it's time to protect your strands from the change in the weather. Check out these helpful videos on how to style your hair in cooler weather conditions. Description / Make one big cornrow going up from the nape of the neck to the crown. Braid the section at the front to your hairline then gather loose hair with a rubber band and roll to create a pompadour. Tools / Comb + clip + bobby pins + rubber band. Description / Roll, tuck, and pin the back of your hair while leaving the curly afro unleashed in front. Description / Half up half down hair tutorial for naturally curly hair which features a top knot bun with the back hanging down. Description / French braid (cornrow) to create an upward braid in the back and a two strand twist at the top/front. Description / Easy updo style for locs using a hair band only. Description / Using a low pony tail, create a donut bun. Then lightly twist the hair and pin up until desired shape is achieved. Description / An easy protective style which is created with two braids/cornrows, one on either side of the head. Description / A quick and easy, low manipulation hairstyle which is created with high bun and front twisted pompadour. Description / A simple but stylish hairstyle with a difference. Roll, tuck, and pin the back of your hair to the crown. Take small sections of the front of your hair and create 3 two strand twists. Then lightly twist the hair and pin up until desired shape is achieved. What have you been doing to protect your hair this autumn? Share your comments below. The UK is finally heating up, so now it's time for some outdoor activities and fun. Whoop whoop! Here are some handy natural hair tips for the summer, which will help to keep your hair beautiful, reduce frizz and avoid damage all while protecting it from the sun, heat, salt and chlorine. When it comes to hair, I really can’t emphasis the importance of moisturising enough. Your moisturising routine or lack thereof can literally make or break your hair. Your hair needs moisture!!! And water equals moisture. Our bodies contain from 55% to 78% water, depending on body size. To function properly, the body requires between one and seven litres of water per day to avoid dehydration; the precise amount depends on the level of activity, temperature, humidity, and other factors. Water is good internally and externally for hair. Internally a well-hydrated body means that there is sufficient moisture for hair function, externally it means that the hair can maintain elasticity and suppleness. Spritz and seal is a great way to moisturise daily and to prevent breakage. A moisturising spritz that consist of water, aloe vera juice/gel, and a penetrative oil such as olive oil, avocado oil land/or argan oil will keep dry hair hydrated. Moisture can easily escape if not sealed in with a natural sealant. Heavy oils such as jojoba, castor or almond oil, or even thick butters like shea butter are great natural sealants. Shea butter is also rich in SPF which protects your hair from UV rays. You may have to experiment with different hairstyles that give you the freedom to moisturise without frizz or minimal shrinkage (if that bothers you). Twisted or braided styles are usually perfect for that. Try my Homemade Moisturising Spritz For Dry Hair. Braids, buns, cornrows, up-dos, twists – all of these styles not only keep your hair off your face or your neck, but also protect your delicate ends. Keeping those ends protected prevents excessive dryness and breakage, so not only will your hair grow, you'll retain that length. With the temperature hotting up you’ll probably find yourself sweating more in the sun, at the gym and on your scalp. This will be the time to start cleansing your hair more frequently to remove the sweat and dirt build-up. To avoid spending money on new product, a mid-week apple cider vinegar rinse is sufficient to gently remove scalp build-up. Just be sure to use your fingertips (not your nails!) to massage the scalp and clarify. Try my Apple Cider Vinegar Cleanser. After being exposed to the heat and sun, always replenish moisture in your hair by applying a hydrating leave-in conditioner that softens, promotes manageability and shine, while reducing frizz. Giovanni Direct Leave-in Weightless Moisture Conditioner and Teresa Angelina Leave-In Protector are two of my favourites. Since there tends to be more humidity in the air, products with glycerin or other humectants are great during this time of year as a leave-in. Also, be sure to do a deep conditioning treatment at least every two weeks to rejuvenate your locks. While on the beach put a barrier between your hair and the sun’s damaging rays, which may fade colour and leave tresses feeling like straw. Oils seal in moisture and provide high-gloss shine, so ensure that you apply an oil-based treatment or create your own oils mix. I currently use Shea Moisture Anti-Breakage Masque and Sof n' Free Nothing But Intense Healing Mask, which intensely moisturises, aids in reducing breakage and supports healthy hair growth. Apply your deep conditioner evenly throughout wet hair after shampooing, place hair under a plastic cap/plastic bag and apply moderate heat for 30 minutes, then rinse thoroughly. For an added super boost of moisture, shine and softness, try adding a tablespoon of honey and a tablespoon of natural oil (e.g. extra virgin olive oil, jojoba, coconut, argan etc) to your deep conditioning treatment before you apply it to your hair. Rock a sun hat to keep hair and skin shielded from bright UV rays, as well as protecting colour and moisture. This is also a great time to get stylish and sport a colourful scarf /turban on your hair. The sun is already putting too much heat on your hair, so avoid the additional heat as much as you can. Reduce the use of blow dryers and try to air-dry your hair overnight. Avoid using curling irons and straighteners as they can stress your hair and cause breakage. Check out these examples of how to stretch your natural hair without using heat HERE. After swimming in a pool or the ocean, be sure to wash your hair that same day with a clarifying shampoo or use one of my favourite natural hair cleansers, apple cider vinegar. Both will help to remove chlorine or salt, which can cause dryness and damage, leaving it brittle and fading colour. Plus these will gently wash away product buildup for healthier tresses. What have you been doing to protect your hair in the summer?